Recruiters have been told to deliver lists with only women. In other cases, they've been told to come up with a shortlist that's 30 percent female. The push to improve numbers of women lawyers across attorney tiers has pressured firms to decide on the best strategy for diversity — be it fast, aggressive hiring or slow, organic growth. One trend that has emerged amid the heightened push for diversity is firms requiring recruiters to include women — and sometimes only women — on shortlists of lateral partner candidates. But that isn’t always viewed as a good thing. According to a recent report by legal recruiting company Fox Rodney Search, women made up 27 percent of all partner moves in 2018 in London compared with 25 percent in 2017. Broken down, women made up 27 percent of lateral hires last year and 28 percent of all partner promotions. Recruiters say they’ve had at least one law firm ask for an exclusively female list. One recruiter said a major law firm specifically said they wanted to hire a female corporate partner. However, exclusively female short lists have been widely criticized, said by some to be dabbling in discrimination, arguably hiring women for the sake of hiring women. Although a quick solution to female partnership numbers, this strategy has been labeled “extreme” by some recruiters and partners. However, more reserved recruitment approaches are common and often encouraged as a strategy for getting more women into senior roles. Recruiters say many law firms have asked them to help increase their female partner count by seeking to put a focus on looking for female talent, or in some cases giving recruiters a quota for the number of women on short lists. MLegal partner Melinda Wallman and Fox Rodney partner Siobhan Lewington said recruiters are used to ensuring a balance for law firms during lateral hires and partner promotion rounds. “Though we have seen some great stats recently in terms of percentage of women promoted to partner, those additions are often canceled out when 1) female partners leave and 2) male partners are hired,” Wallman said. Multiple recruiters said that one approach law firms use is to request that a certain number of women are included on recruitment short lists. Melton Legal Search managing partner Vassos Georgiadis said they are often required to provide data on their female recruitment. “Many firms often prefer to use agents with a strong track record of delivering female candidates. … If a headhunting firm has not been responsible for many female partner placements, it is now to their detriment,” Georgiadis said. Melton Legal Search senior consultant Tom Moore said law firms often want a 30 percent female short list, which is most firms’ target for the percentage of female partners, including firms that have adopted the Mansfield Rule. According to Fox Rodney Search’s report, women are best represented in the employment, IP, and banking and finance practice areas and worst represented in private equity, energy, infrastructure and projects and corporate. 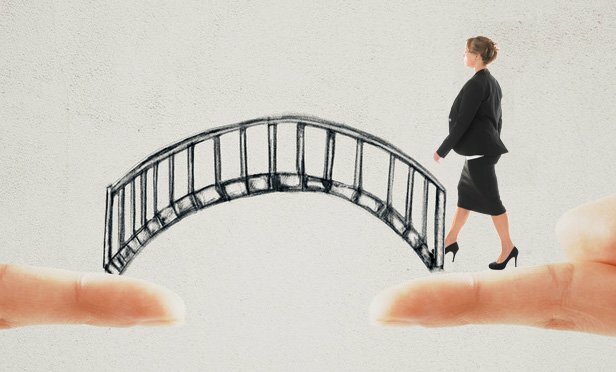 Comparing female lateral hiring with organic growth, Freshfields Bruckhaus Deringer corporate partner Natasha Good said that while hiring female partners offers a quick, short-term solution, it does not go to the the “heart” of the issue. “It feels a bit like moving a piece around a chess set instead of actually dealing with the long-term problem,” Good said. One employment partner at a top U.S. firm, who asked not to be named, said the lateral hiring numbers are strained because there is less willingness by women to change firms because there is a greater feeling of appreciation from women when they get to partner. He said that although the firm has told headhunters when it’s particularly open to female partners, lateral hires are not the solution to gender inequality in partnership; organic growth is. “Organic growth is however slow, so we’re alert to not making the challenge greater by hiring an excessive number of male partners,” the partner added. Some major female lateral hires since the start of 2018 include Dechert’s hire of U.S. rival Sidley Austin’s global litigation co-head Dorothy Cory-Wright, Kirkland & Ellis’s hire of Allen & Overy global intellectual property head Nicola Dagg, and Paul Hastings’ hire of private equity partner Anu Balasubramanian. Since the start of this year, Pinsent Masons’ has hired planning partner Lucy Thomas from Ashurst; DLA Piper has recruited real estate partner Susan Samuel from Eversheds Sutherland, finance partner Rebecca Williams from Addleshaw Goddard, and real estate partner Lorraine Reader from DWF; and CMS has hired real estate partner Abigail Dry from DWF. The General Data Protection Regulation (GDPR) is a broad and comprehensive European Union (EU) data privacy law that went into effect on May 25. This is a great example of the law trying to catch up with the technology and our digital lives.